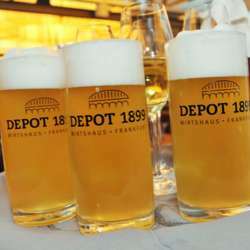 You must be a member of the Frankfurt Drinkstag Group to attend this activity. Would you like to join this group? Drinkstag this week will be at this beer place in Sachsenhausen. They also have wine and traditional German food, including some vegetarian options. You can reach it with U-Bahn or S-Bahn, it is very close to Südbahnhof station.